Born Pretty Store have their own range of nail art stamping plates, they have both small round plates and large rectangle plates. 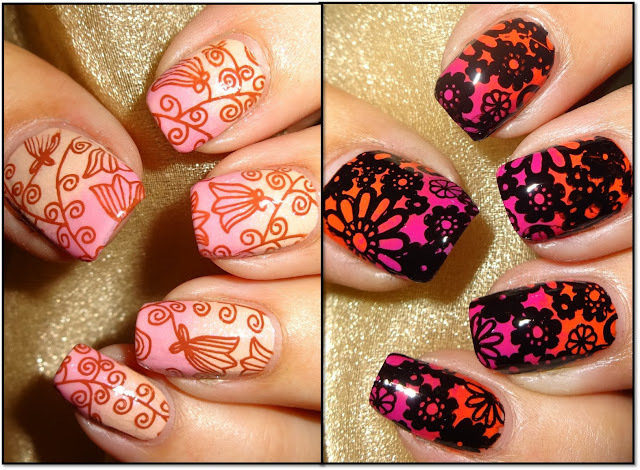 Here I'm sharing with you a couple of manis from Stamping Plate BP-107, a round plate with 3 flower designs. The plate is suitable for long nails and you can create both delicate and bold designs. Such a gorgeous manis! Love them!